If you're looking for sources for a research paper, and you don't want to bother with hunting down a print copy, online databases are a great place to start. 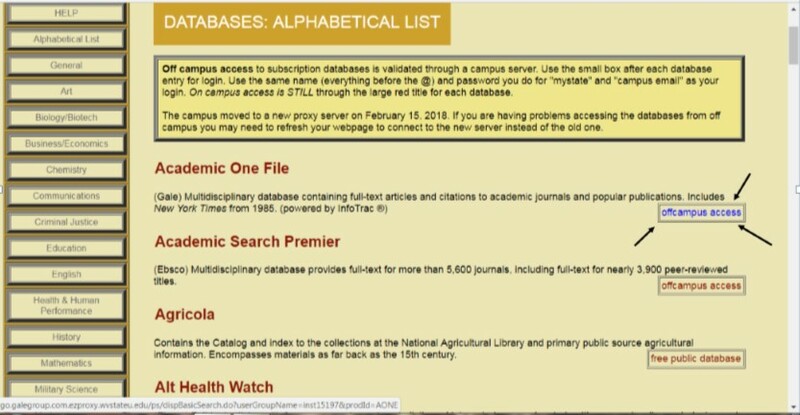 These databases are electronic versions of journals and articles that you can access for free through the Drain-Jordan Library. Most of our general databases also allow options for full text access. 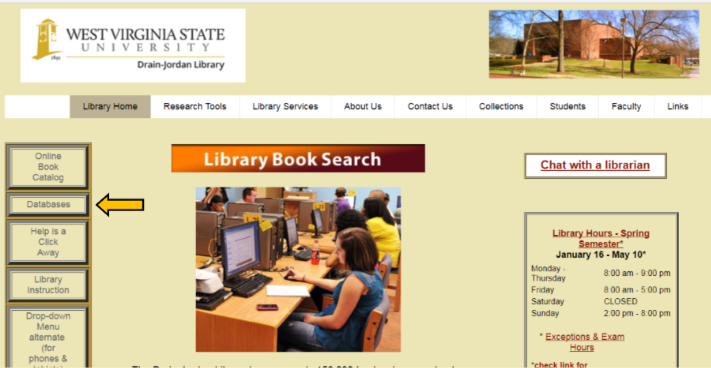 If you're on campus, all you need to do is click on the title of the database you want to use, and start browsing. We recommend starting your search in Academic Search Premier, as it is our largest database, with a lot of great general resources. We know using these databases can be overwhelming, especially if you've never used them before, so we've created a guide to help you navigate. This guide can be found on the Academic Search Premier tab under Database Introduction. Even though we generally recommend starting with Academic Search Premier, we also have a lot of other databases that provide great resources, and that may be more specific to your research. Feel free to browse our Alphabetical Database List to find additional resources. This includes the American Chemical Society, Business Source Elite, Criminal Justice Periodicals, Newsbank, ERIC, PsycArticles, and Statistical Abstract of the U.S., to name a few. Each database will also have a short descriptor so you know what it's for, and a link to on and off campus access (if applicable). Once you've done that, it will prompt you to login with a username and password. Your username is the first part of your campus email - everything before the @ symbol. Your password is the same password you use to login to Moodle and your campus email. These steps apply to any library resource that requires you to login for off campus access to materials. If you are having trouble accessing content, please call the reference desk or send us a chat, as we sometimes need to walk you through multiple steps depending on what databases you are using and the error messages you may receive. << Previous: I need sources for a paper, where do I start?